Otters were once plentiful across most of North America but due to trapping pressure in the late 1800’s and early 20th century, these numbers dwindled. In response to this drop in population, regulations were put in place to reduce the amount being lost to trapping and recreational hunting. For the most part, these efforts have helped and populations have thrived. In fact otters have rebounded so well for many people their presence is menacing. At this time the river otter is now found throughout most of the southeast, northeast and northwest states of America. 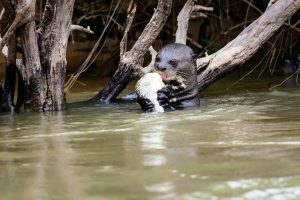 Undaunted by cold temps, the river otter seems to thrive all year long as long as they have access to a good supply of fish. For this reason, otters can become a costly nuisance for many people. 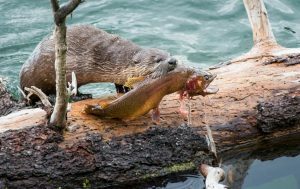 Anyone with a private lake, koi pond or other aquatic habitat is all too familiar with the kind of impact a foraging otter can make. Although otters will sometimes dine on shellfish or reptiles, they love fish. And just about any type of fish. 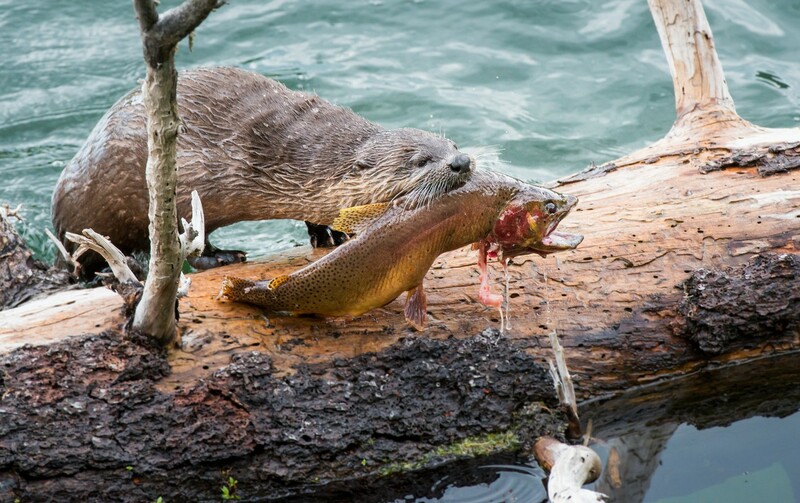 Just as long as it’s plentiful and easy to catch, otters will take advantage. 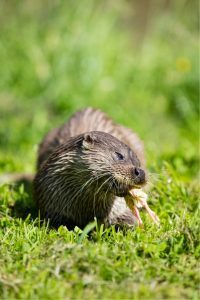 If you keep chickens, quail or pheasant, otters will try to take advantage of young vulnerable birds. They’re smart and wily often times figuring out how to scale fences or dig under them to get inside. Otters will initially target eggs and young birds. But captive adult birds are fair game too and otters will not ignore a kept population. If you have active bird feeders, otters will often times stake out the area around the feeder early in the morning. Generally active at night, otters will try to harvest caged birds when its dark. 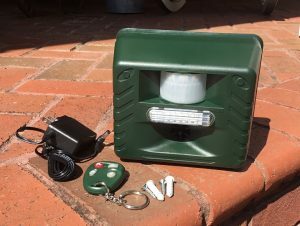 If you have a pond or chicken coop and would like to keep otters away, install SOUND REPELLERS around the perimeter of the area for a quick and easy solution. These units emit ultra sound by default and otters do not like this sound. It won’t hurt them but it does make them feel uncomfortable so they will move away from the area where the sound is heard. These units can be configured to run continuously using the included power supply or by 4 “C” cell batteries when set to “motion detector”. This setting will keep the unit in standby mode watching the area for movement. As soon as an otter enters the protected area, the device will go off for 20 seconds chasing the intruder away. To get the biggest impact, use the units with the audible sound turned up as high as you can use it on your property. 20-40 is usually high enough but if possible, keep it at 60-80. This way when they go off, the ultrasound will be active along with the white flashing light bar and the audible sound. In most cases, one close call with this device will cause any otter to be skittish to the area for a long time. These units include a wireless key so you can turn them off/on as needed. This wireless remote also has an “alarm” button so you can use this to “scare” approaching animals long before they get too close. Sound repellers are very much directional so they will only work in the direction they’re pointed. So to protect a small pond, set the unit 10-20 feet away pointing to the most likely approach path the otter would use. Units can cover up to 5,000 of open area but if the landscape is cluttered with vegetation, this will obscure its range. Another more “permanent” solution is to trap out invasive otter from your property. 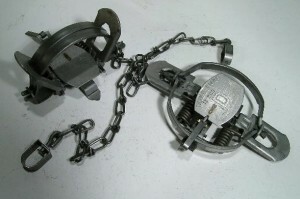 This can done using a range of traps depending on your problem. 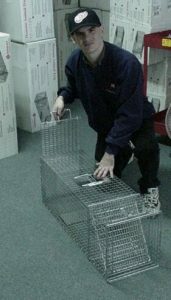 The easiest traps to use are live trap cages since otter are easy to catch when using the right bait. Leg hold traps will also work as will kill traps. For average inland river otter in the 30 lb or less range, our 36″ long LT111236RD will do the job. This is a commercial grade trap strong enough to contain an otter. It features a rear sliding door so its very easy to set and maintain. If you reside in a salt water region where otters tend to grow bigger, get the 42″ or 48″ model. The LT151842RD is usually plenty big but the LT152248RD will work well too. 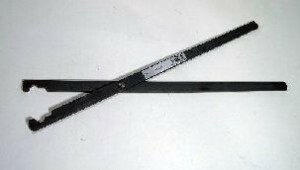 The 48″ long model can be fitted with a LIVE BAIT HOLDER which is ideal for otters hunting birds. Place traps along trails, slides or water shorelines. If they’re targeting fish, use live fish in the back of the cage with the back bottom side behind the trip pan in just enough water to keep the fish alive. You can also make sets using FISH PASTE. 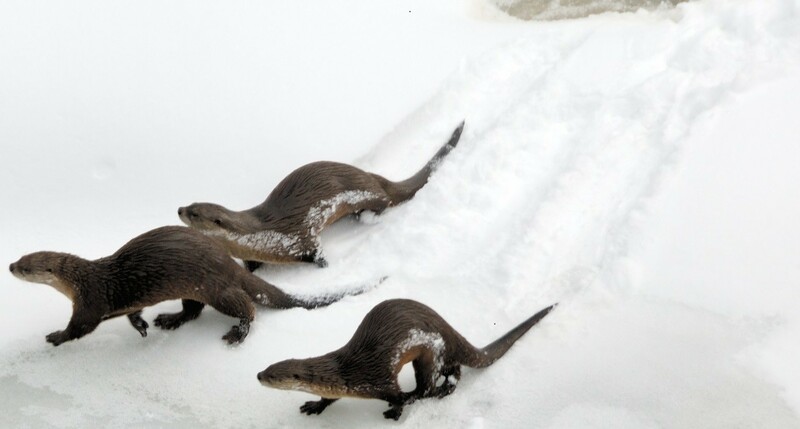 Place 1-2 tablespoons on a small paper plate and wipe some OTTER LURE along a trail leading to the trap entrance. The lure will make it seem like otters are visiting the area and can lure animals from 50-100 yards away. 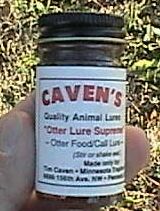 Otters have been known to travel as far as 10 miles in one night so using Otter Lure can help pull in animals from afar. Be sure to relocate animals at least 10 miles away since they have a natural ability to follow water ways back to their dens. 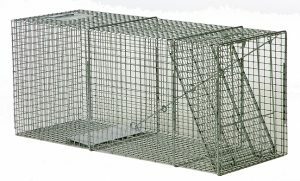 Another type of live trap for otter is the old traditional leghold trap. 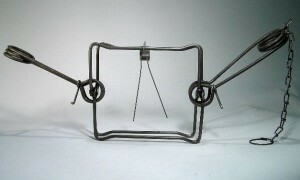 Both Coil and Longspring traps have been used to catch otter for more than a century. These traps take some expertise to handle but are quite effective when used by someone who knows how to utilize them properly. Commonly used by wildlife control companies, the most common size for otter include the COIL # 1.75, COIL # 2 and COIL # 3. The Coil 1.75 has a 4.75″ jaw spread when set and is one of the most common sizes used. The Coil #2 has a 5.5″ jaw spread when set and is good for large animals. 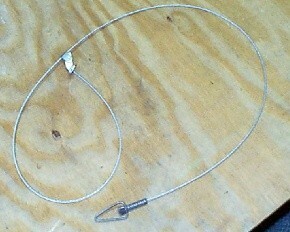 The Coil #3 has a 6.0″ jaw spread when set and should only be used for the biggest otters or weasel in the 50lb+ range. The more traditional long spring trap is just as effective. Maybe not as populare today as it was before the coil trap design was introduced, this model still catches plenty of otter every year. The common sizes used for otter include the LS # 11, LS # 2 and the LS #3. The long spring #11 has a jaw spread of 4″ and is the more common size used for otter. The long spring #2 has a jaw spread of 4.9″ and is used for large otter. The long spring #3 has a jaw spread of almost 5.5″ and should only be used for the very largest otter. SNARES can also be used to live trap otter as they forage along known trails. Like Coil or Longspring traps, Snares require some skill in order to make a good set. The key is knowing you have active otter working a run. If you have active trails, snares placed along these paths can be quite effective. Lastly, you can also use a kill trap. 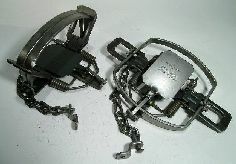 Known as body grip trap, these traps basically “crush” target animals when they try to pass through the trap jaws. To use these traps efficiently, you’ll need to know where otter are active and “predictable”. This can be along a “run” or “slide” which are easy to spot in mud or snow. In general, otters will use slides to access their favorite pond or lake. Trails can also be found that lead to otter “toilets”. Since otter like to defecate in the same area over and over, access points can be easy to find and make for good trap sets. To ensure success, try to position a trap along a section of the trail where it necks down to a narrow pass. The more “natural” this section of the trail, the better. If need be, you can add tree branches, rock or some other natural obstruction to ensure they pass through the trap. For more otter, the BG220 will be large enough it features a 7″ wide by 7″ tall entry hole. Otter naturally forage through holes will not be afraid to enter the trap jaws. For large animals, go with the larger BG330 which measures 10″ wide by 10″ tall. 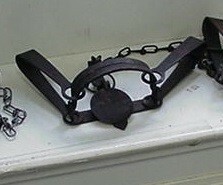 These traps use strong springs which require strong hands to set. 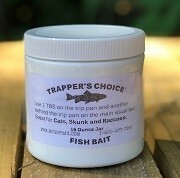 For the novice or beginner trapper, TRAP SETTERS will make the task safe. To ensure even more safe handling, use SAFETY GRIPPERS. 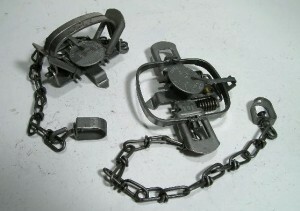 These are small “clamp” like clips which will prevent the spring from releasing. Use them when you want to make a set without fear of the trap going off by accident. 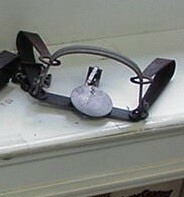 Lastly, to keep the trap in place when making a set, use a TRAP STAND. 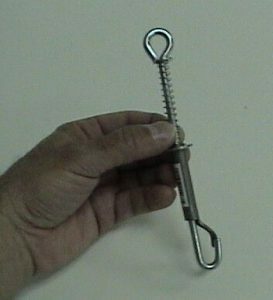 This device uses a rebar stake so you can properly anchor the trap in the ground. It will hold a BG220, BG280 or BG330 no problem. River Otters are almost a welcome guest on any property. Their playful nature, cute demeanor and high energy antics make them adored all the world over. But they can have a bad impact on your local pond or lake. 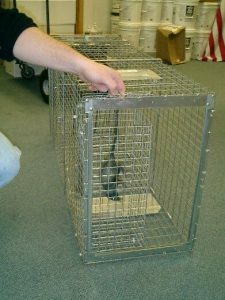 If you need to trap out some nuisance otters, consider live traps since they’re quite easy to catch and relocate. Kill traps should be used as a last resort.